This month we are thrilled to have Nature’s Bandits in the office to provide healthy, cute, and yummy snacks for us and our clients. 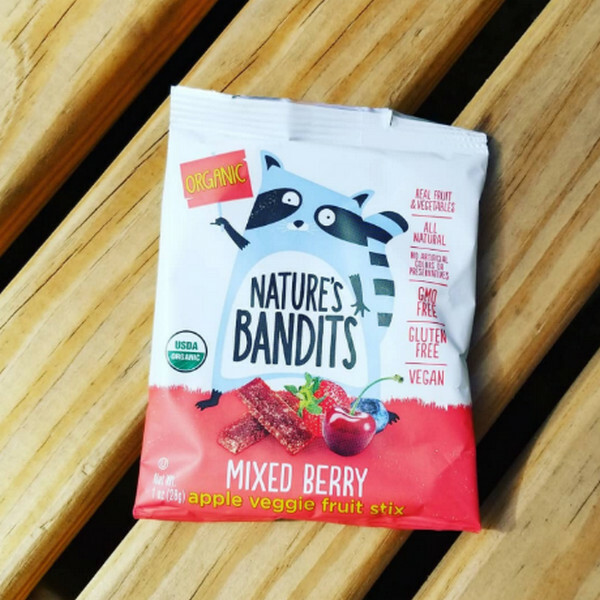 Nature’s Bandits is a family-owned and operated business in Connecticut that strongly believes “healthy choices should never be sacrificed for convenience,” – a reason why they produce organic healthy snacks from the best fruits and vegetables. Nature’s Bandits dried fruit snacks are not only organic, gluten-free, vegan, Kosher, and free of preservatives, and GMO’s, but also have a delicious favor! Not to mention, they also contain no cholesterol or fat. Nature’s Bandits fruit and veggie stix are fun for both kids and adults and contain four delicious flavors! Apple, Mixed Berry, Blueberry, and Mango. All flavors are a great hit! In every multi-pack of Nature’s Bandits, they include a few “playable”, collectible trading cards. That way, every tasty snack time can still be healthy, but most of all fun! They also have a special page of fun facts for you to enjoy. To learn more about Nature’s Bandits, check out their website. You can also check out their Facebook, Instagram, or Pinterest.